We keep Gods trees healthy, beautiful, and safe to live around. Taking a proactive approach to tree health can be a substantial investment in your tree’s overall beauty and safety. Request a consultation for our services today! Arborists Reports include document observations, conclusions/prognosis and recommended mitigation. Tree Preservation for Construction Projects include planning protection, compaction prevention, and tree relocation advice. 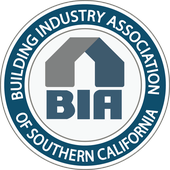 Third Party Independent Review involves second opinions on topics like proposed tree removals, tree health, correct pruning methods and tree trimming schedules. Tree Appraisals provide a present worth of a tree or group of trees quantified by a dollar amount for legal and insurance purposes. Tree appraisals require training, experience and expertise. Tree Trimming Removals OCA provides trimming and removal services per the industry standards set forth by ANSI 300 trimming and safety standards. OCA provides diagnosis of tree health problems and provides treatment. Methods includes, chemical injections which is safer for humans, pets and the environment. Tree injection can be compared to a hospital IV. Injecting directly into the trees vascular system. Certified in Arbor Jet and Mauget injection systems. Tree Management Plans include a three year tree trimming plan, tree risk assessments and insect and disease diagnoses for homeowners associations, golf courses and commercial properties. Tree Risk Assessment The goal is to provide a systematic and defensible approach by which tree risk can be assessed and managed to a reasonable level. To keep your trees healthy, beautiful and safe to live around, we suggest a tree management plan. This includes a 3 year tree trimming program, a yearly tree risk assessment and disease and insect inspection twice a year. Treatment Services include chemical spraying and trunk injections to manage a trees nutrient requirements as well as insects and diseases control. Tree Injections injecting plant protectants directly into a tree’s trunk minimize environmental exposure and the amount of material required. Tree Trimming involves reducing shade and wind resistance, maintaining tree health, influencing fruit production, improving views, correcting safety issues, and enhancing appearance and value. Tree Removal involves removing trees and necessary, efficiently and in a safe and controlled manner. Discover the ways OC Arborists, Inc. commercial and residential tree services can manage and maintain the value of your property. Reach out to us today! Fred De Maria has been in the tree industry since 1984. 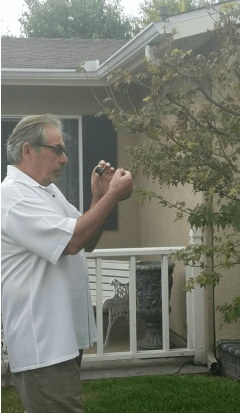 He is a Certified Arborist and currently serves as President of Orange County Arborists, Inc. His expertise includes appraisals, tree preservation, tree and palm problem diagnosis, risk management, species selection, tree health monitoring, proper trimming techniques and ornamental pruning. Fred has consulted for insurance companies, developers, home owner associations, commercial property owners and managers, and private home owners. 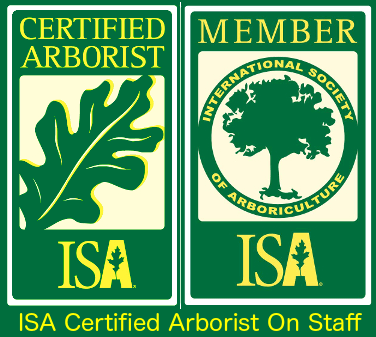 Continuing Education Courses in Arboriculture required to maintain Certified Arborist status.